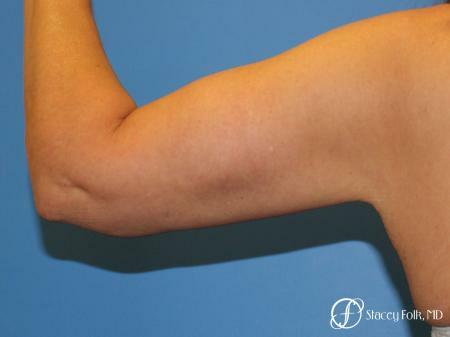 Skin on the anterior upper arm is thin and can become loose with age and weight fluctuations. For mild laxity a skin tightening procedure such as Thermi RF may be sufficient and would avoid visible scars. With significant laxity, surgically removing the excess fat and skin may be necessary. 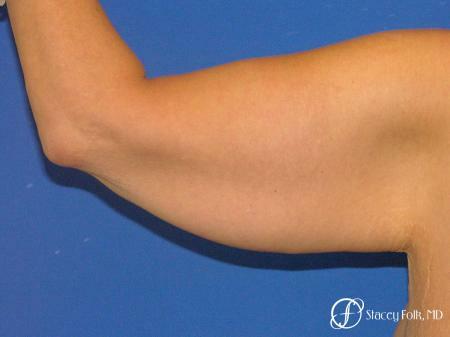 The technique can be tailored to address each patient’s needs, but in most cases there will be a scar that runs along the upper arm to the armpit, and along the lateral chest as needed. If you are thinking, “Yikes, why would I want a scar there,” you likely don’t have the degree of laxity for which this surgery is designed. 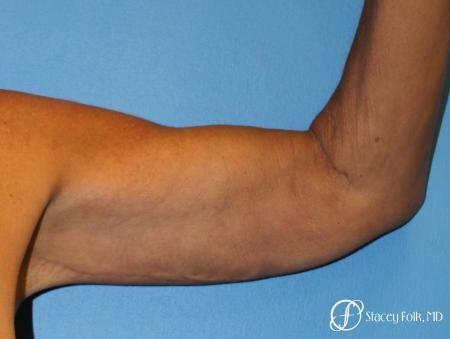 At the time of this writing, I feel we have great options for mild and severe laxity (opposite ends of the spectrum), but there is a group in the middle that may have too much laxity for a minimally invasive procedure, but not enough to warrant the scar. This is where patient education and discussion are essential so that you can make an informed decision about your options. 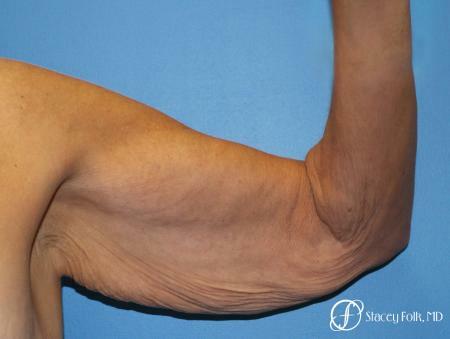 See our gallery for more brachioplasty before and after images.